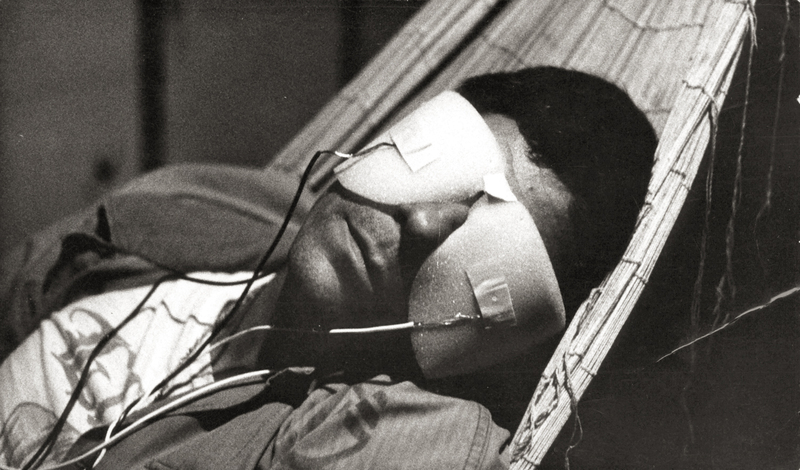 Today in the studio I understood that in Chris Marker’s “La Jetee”, when the subject is blindfolded and writhing on the hammock under experimentation, it is more than the excruciating torture of the doctors sending his sleeping self through time. It is the pain and vulnerability of creativity. Trying to pull something forth from the future or past, to produce it in the present is impossible and can only be done in a moment of absolute weakness.